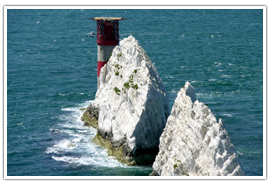 The Isle of Wight is a small island situated off the coast of South East England. The island is edged by stunning white chalk cliffs which are topped by lush green sweeping downs. Deep ravines run to the sea, cutting into the landscape quite dramatically, locally these ravines as referred to as ‘chines’. The island relies mainly on tourism for the bulk of its income and during the summer it is a popular destination for holidaymakers and those who love being close to the water and participating in water-based activities. The island is famed for being home to the Royal Yacht Squadron, as well as playing host to a number of high profile sailing events each year. It takes just over two hours to travel to the Isle of Wight by London by train and ferry from Southampton. Though only a small island it has a number of notable towns. 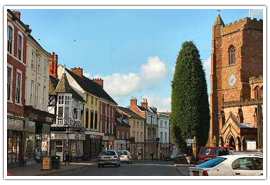 Situated at the head of the river Medina, Newport is the main town on the island. It was at one time the busiest port on the island and a center for trade. Famed for being home to Carisbrooke Castle, the place in which King Charles I was held prisoner prior to his trial and subsequent execution in 1649. 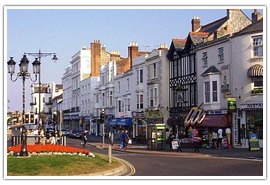 Cowes is widely regarded as being the home of international yachting. It is unusual in the fact that the town is effectively split in two by the River Medina, splitting the one town into two distinct halves each with its own character. The town has a very strong maritime history and is host to the world biggest annual sailing regatta every summer. A foot passenger ferry links the town of Cowes to the mainland. 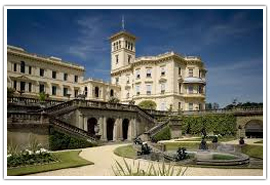 It is also home to Osborne House a former residence of Queen Victoria. The town of Ryde commands a wonderful seaside location, offering visitors around six miles of clean beaches filled with soft sand. Referred to by many as the gateway to the island as it is home to a number of the islands important transport links. 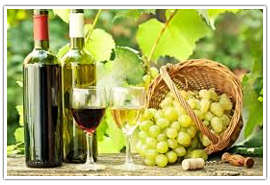 It is also home to England’s oldest pier as well as the largest vineyard on the island. For such a small island there is no shortage of open space and green areas in which to spend a relaxing afternoon. Enjoying a unique microclimate the undercliff gardens thrive in the shelter offered by the chalk downs. Despite what the weather may do, the gardens tend to remain warm the whole year through, with any frosts disappearing as quickly as they arrive. A visit to the Ventnor gardens is akin to a trip to any garden in the Mediterranean as it is filled with subtropical vegetation. 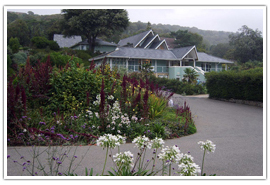 Located in Ventnor the gardens are open every day from 10.00am. 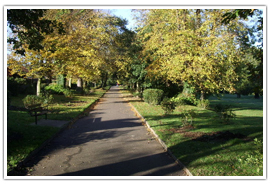 Located in Ryde, the area now referred to as the park used to be the grounds and gardens of St John’s House. This award-winning park adjoins the beach and is a popular attraction for families. Within the park, you will find Appley Tower which dates from 1895 as well as some ancient and beautiful coastal woodlands. There is also a pitch and put course and sand playground for the children. The park is open daily from 10.00am. 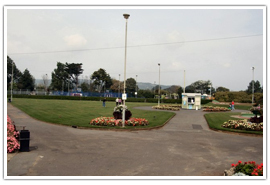 Situated in Sandown, this is a very traditional seaside type park, complete with crazy golf course, putting green, bowling lawn and skate park as well as having all of the usual children’s play equipment for toddlers through to teenagers. The park is open daily throughout the year. Take the children here and let their imaginations run wild. Located near Chale, this is one of the most popular attractions on the island and features a number of themed areas including Frontier Land, Dinosaur Land, and Smuggler land. 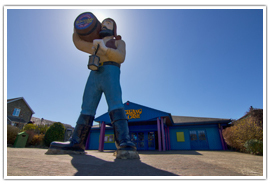 It holds attractions for all the family to enjoy and is open from March to October from 10.00am. Visit http://www.blackgangchine.com for more information. Constructed in 1862 this old Palmerstonian fort offers visitors spectacular views across to the mainland and the coastline of Dorset. A museum can be found in the old gunpowder store which illustrates the history of the site and there are several of the forts original cannons still in situ. The Battery is located in West High Down; opening times vary across the year so see the National Trust Website for more information. Located in East Cowes this is the residence to which Queen Victoria retired after the death of her beloved Albert, it is also where she herself passed away in 1901. The stunning Italianate Palace was designed by Prince Albert and Thomas Cubitt and it became her favorite of all of the royal residences. Osborne house is surrounded by beautiful gardens which contain a delightful Swiss cottage. The attraction is open daily throughout the year between 10.00am – 4.00pm. Visit the English Heritage website for more details. Carisbrooke Castle: Possibly one of the busiest tourist attractions on the island, the castle is where King Charles I was held, prisoner. Visitors can play bowl on the same green where the king himself once played. Children will enjoy dressing up as characters from the past and the castle donkeys are a hit with all members of the family. For more information visit the English Heritage website. The Isle of Wight is a wonderful place to get out and about and explore. Considering the island is known to many as ‘Dinosaur Island’ it is no surprise that there are many fossils to be found here. 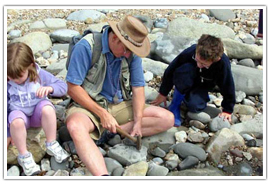 Take part in a guided fossil hunt around Freshwater Bay and find your own prehistoric souvenir to take home as learn all about the world of the dinosaur. 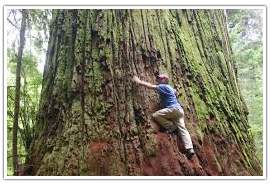 Check out the Adventure Activities website for more information. Take to the water of Freshwater Bay in a sea kayak and see the island from a totally different perspective. Courses are available no matter what level of ability you possess. 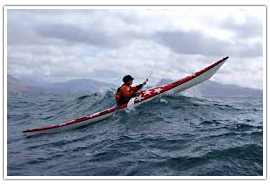 For more information about courses and other water-based activities visit http://iow-seakayaking.co.uk. Have an adventure in the treetops and enjoy the views across Ryde from the top of the canopy. Professional instruction and quality safety equipment are provided in this unusual and fun family activity. Visit www.goodleaf.co.uk for more details. From a taster session to an advanced course Wight Water offer a course to get everyone out on the water. 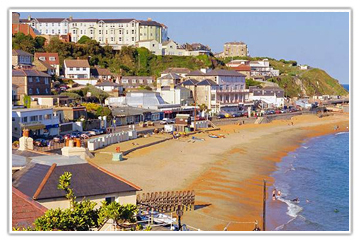 The center is located along Dunroamin Beach midway between Sandown and Shanklin. For more information about water-based activities visit www.wightwaters.com. Take some time out to enjoy a relaxing afternoon tea while taking in the beautiful island scenery. 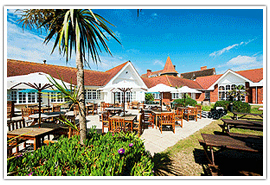 Located in Ventnor the hotel offers a dainty afternoon tea in simply wonderful surroundings. Delicate sandwiches with traditional fillings, along with patisserie delights and fresh cream scones are available between 3.00pm – 5.00pm and priced at around £20.00. Visit http://royalhoteliow.co.uk/ for more information. Set amidst the stunning countryside of the Isle of Wight in Bainbridge, visitors can enjoy views across the Solent as they enjoy a traditional afternoon tea. These relaxing refreshments are served between 11.00am – 4.00pm daily and cost around £39.00. For more information visit the Warner Group website. With such stunning vistas to use as photographic backdrops, the Isle of Wight offers some stunning wedding venues. Once a residence of Queen Victoria who wouldn’t want to get married in a Palace? It even served as the Honeymoon location of Queen Mary and King George V.
The grounds of Osborne House sweep majestically to the sea making it a wonderfully romantic wedding location. A beautiful Victorian manor house which overlooks the Ryde seafront. The large banqueting hall will accommodate most sizes of the wedding party; this charming hotel offers sea views from the majority of its charming bedrooms. 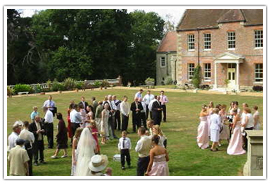 Located in Shanklin this beautiful manor house offers wedding packages to suit the majority of wedding parties. The manor house is set within more than four acres of beautiful grounds and gardens; perfect for the all-important wedding photographs. One With more than fifty different camping and caravan sites on the island there will always be something to stay. 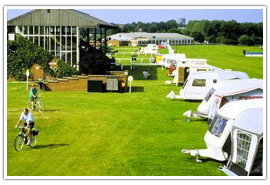 • Southland Caravan Club Site – Newchurch, Sandown, Isle of Wight. 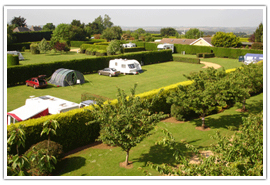 • Adgestone Camping and Caravanning Club Site – Adgestone, Isle of Wight. • Fakenham Farm Certificated Site – St Helen’s, Ryde, Isle of Wight. • Thorncross Farm Certificated Site – Thorncross, Brighstone, Isle of Wight. • Water Mill Heights Certificated Site – Calbourne, Newport, Isle of Wight. • Lucketts Campsite Certificated Site – Bouldnor, Yarmouth, Isle of Wight. 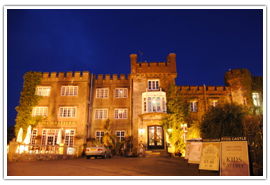 • Rosemary Vineyard Touring Park – Ryde, Isle of Wight. 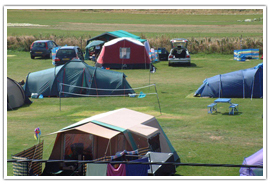 • Heathfield Farm Camping Site – Freshwater, Isle of Wight. • Comforts Farm Camping Site – Cowes, Isle of Wight. • Stoats Farm Caravan and Camping – Totland, Isle of Wight.